I haven’t worn a watch in years. I really like using my cell phone to tell me the time because it automatically adjusts to new time zones. Since it is connected to a local cell tower, it knows the correct time – coming from that cell tower. I also depend on my computer’s clock. I’m almost always sitting at my computer. Any time I want to know what time of day it is, I simply glance at the lower right corner. So, I want it to be correct. Once you’ve chosen the correct time zone and clicked OK, your clock will be correct. Why not Just Change the Time Yourself? Many people choose the ‘Change date and time …’ and just set the clock themselves. I think they just don’t realize how much easier it is to set the time zone and let the computer set the time. You can even use the Internet Time feature (see the 3d tab on the date and time dialog box) which will synchronize your computer’s clock with an Internet clock that is guaranteed to be accurate. 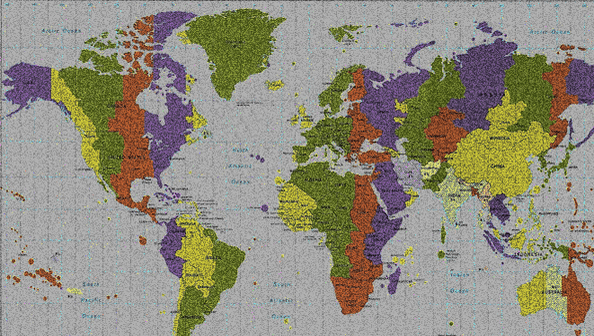 However, it will only be accurate for you if your time zone is set correctly. You may get it wrong. For example, You may have traveled into Arizona and not know their unique rules with daylight savings. 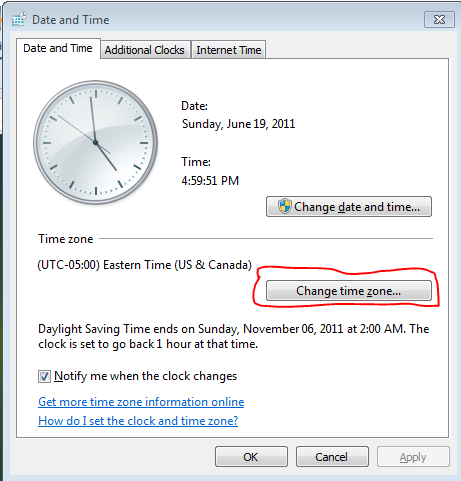 When daylight savings comes or goes in your current time zone, the computer may not change correctly since it doesn’t know your correct time zone. 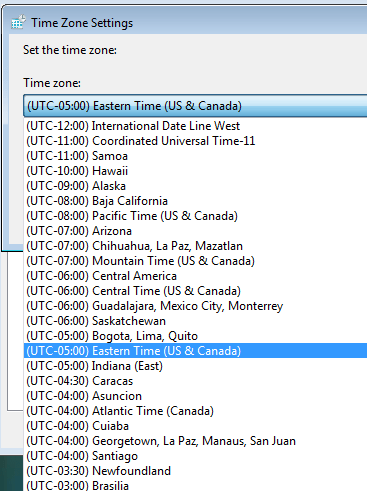 See our Vista/Windows 7 tutorial videos to see how to create multiple clocks for different time zones. Published by MrsGeek, in Blog. Tagged with computer time zone, Daylight Savings Time, Internet Time, synchronize to internet clock. I need data FOR MAC can you HELP!!! !